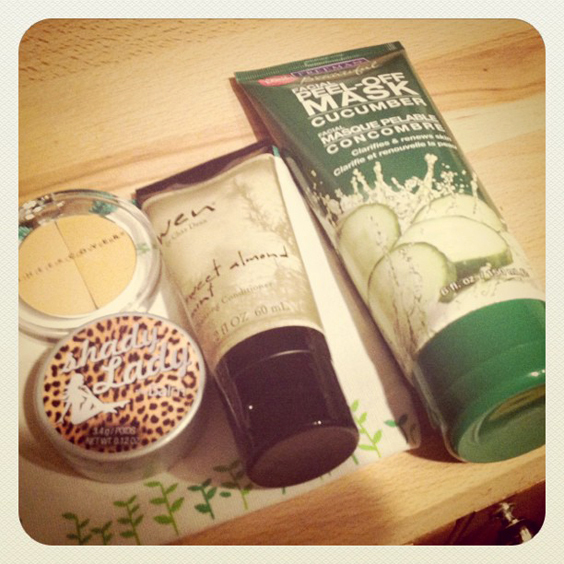 Ok so I have mention how I'm addicted to makeup....well its gotten even worse. I decided to join Birchbox and MyGlam bag monthly. If your not familiar with these they send you 4-5 high end deluxe size samples to you. I kinda like this since there are so many products out there and I thought this might help me decide what I like more instead of buying a full size product and being stuck with it . I received my first packages from each and I must say I'm impressed. More so with MyGlam because they sent me some full size products for only $10. That's crazy especially seeing how much they cost. I also purchased some eyeshadow and blush palettes over the weekend I can't wait to try :) Its a little weird I like makeup because well I really never wore any just some bronzer and eyeshadow. Now I have a collection. Do you like any particular makeup product? The only down side is my poor iPhone fell and the screen shattered. I decided to put a cute lil Chip n Dale sticker on the really bad part so I don't get cut. But what to do???? There are a few options but it breaks my heart to see it broken. Its Tuesday already... This week is going by so fast. Over the weekend Tori came over and we did some sewing. I'm almost finished with two purses and hopefully I'll finish them later this week. Today is my 26th Birthday. I feel so much older especially when my some of my hobbies include crocheting and sewing lol. After work Jerry surprised me with my favorite roses and took me to Carrabba's:) I love Italian food. Oh if you ever go there you should try the Chocolate Bread Pudding its yummy. Then we went to the movies and I got a Red Velvet Cupcake. I think he has a few other surprises up his sleeve.....time will tell. I have a few New Year resolutions this year. Kinda a piece of cake. 1. 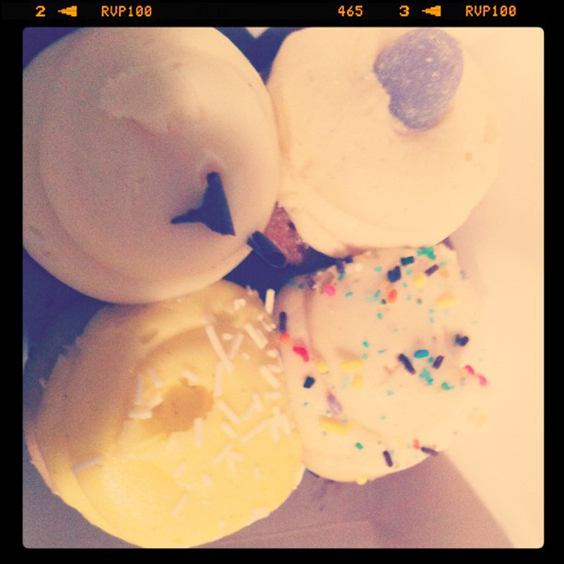 Eat less cupcakes. Yes I do love sweets but I'm going to cut back. 3. Draw a few Art Pieces. Maybe of family pets. I think these are doable. The first two are going to be tough. 2012 is going to be awesome I just know it. 2011 wasn't the best. I moved from Tampa to Orlando and had to say goodbye to a few friends (I see them sometimes but schedules conflict). Also I don't think I ever shared this on my blog but I lost my job last May since my employers at the time were going through some economic hardships and I was one of the first things to go:( I was their only full time employee. It was a blow but I kinda knew it was coming. So yeah I was unemployed for about six and a half months. It sucked. It was a financial strain and a hole lotta stress. Then I found a new amazing Multimedia Design job in November and guess what it relates to the beauty industry. I get to design, edit videos, and code sites. I'm an all around-er :) The people there are nice and I can't wait to grow with the company. Fingers crossed 2012 has a few surprises and amazing adventures. 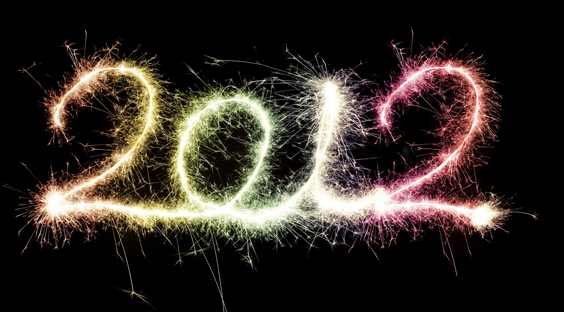 Are you looking forward to anything in particular for 2012?